Agostini Quality Translations has 18 years of experience in Italian financial translation. 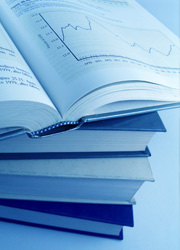 Language translation is our business and financial statements and annual report translation is our specialty. We are the leading company in Italy for delivering high quality financial translations in all languages. All our financial translators are professionally qualified native speakers with at least 5 years of experience in the financial sector, and they have been trained and periodically updated on the new IAS terminology. Our translation agency provides Italian translation services to the top companies registered with the Italian stock exchange. Each translator has professional experience in the field of financial translation and works with his specific language combination, such as Italian-English, English-Italian or other. Together with a leading auditing company, Agostini Quality Translations has developed a specialist financial glossary that was used to translate 192 annual reports in the last year. In addition, 53 companies that we work with us are listed on the stock exchange in Italy and abroad. Many our clients have been letting us do all their Italian Language Translation projects year after year. Among other services we provide are legal translation, website translation and technical translation.